I’m baaaacccck! 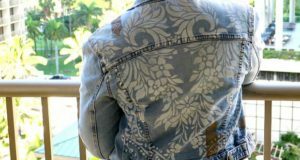 I have missed posting for Paint+Pattern while I took time off to get a totally new shoulder. Yup, bionic I am. For a few more weeks, I am working on simpler projects while I heal. 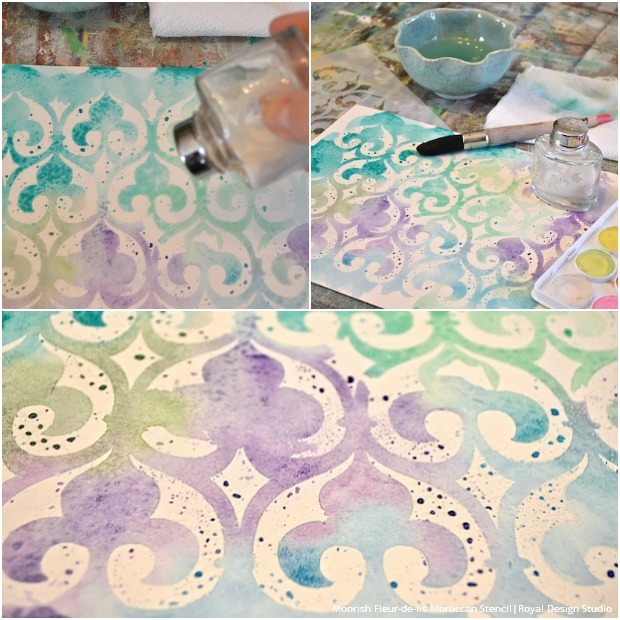 I love this little technique that can be used for artists who want to combine Royal Design Studio stencil patterns into their artwork on watercolor paper, or on canvas. There are so many options for creativity. 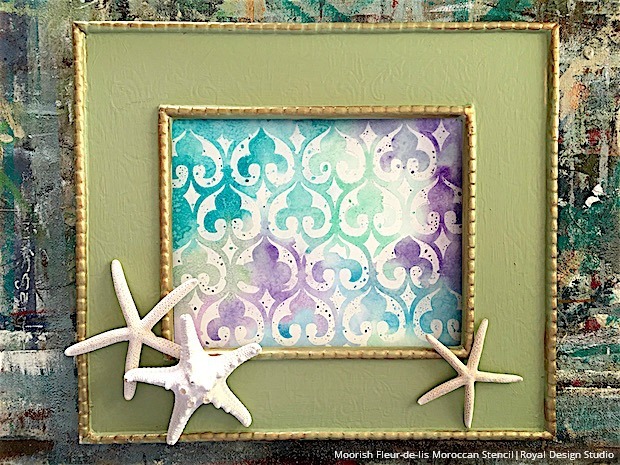 used my favorite, much-used, Moroccan stencil, but depending upon the scale of your design, you can choose larger patterns, or you can mix several different stencil designs. in a circular motion on paper towels. 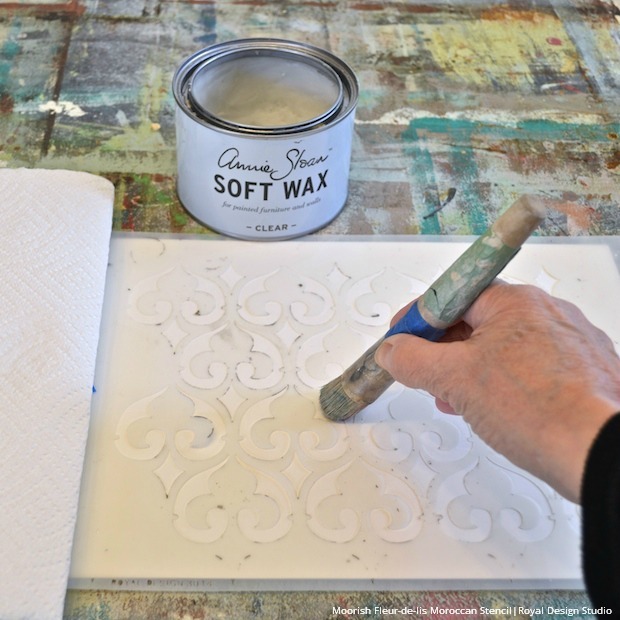 Use a swirling motion to stencil the wax evenly through cut out areas of the design. For my project, I used a really old, but good, stencil brush. 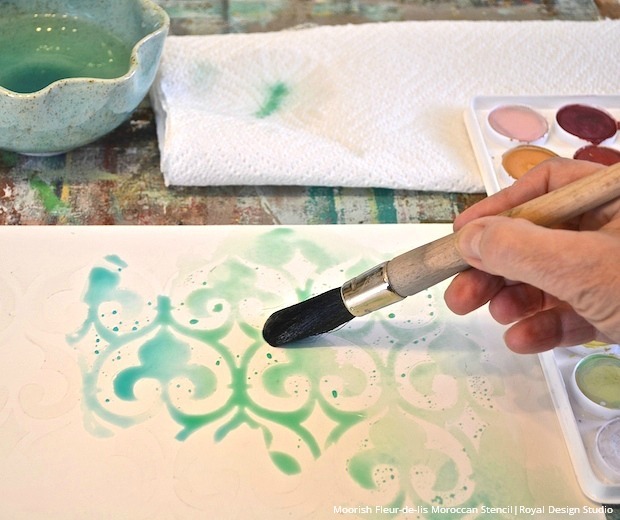 You can use a new stencil brush also, just be sure to clean it well with mineral spirits, and rinse with water. Wax is not water-soluble. Clean the stencil with mineral spirits too. Let the wax set up for a couple of hours. 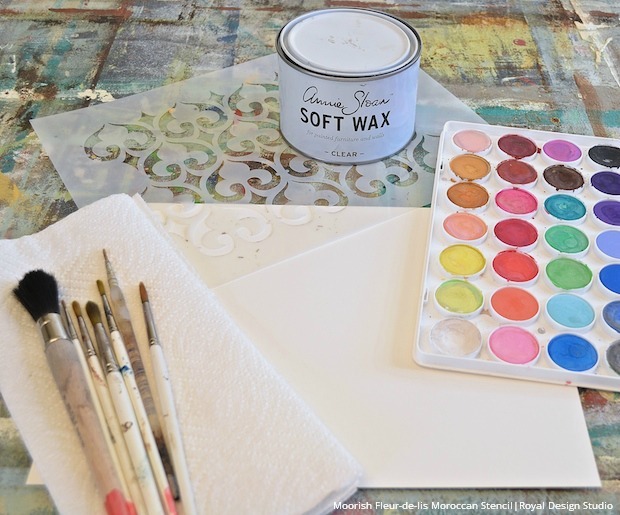 Use two or three of your favorite colors of watercolor paint and a large watercolor brush. 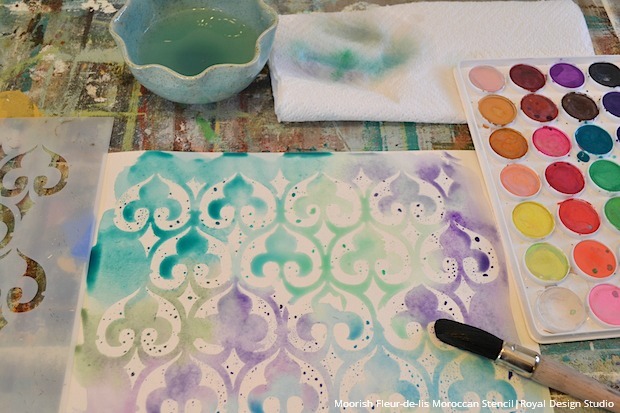 Dip the brush in water, and then the colors. Move the brush over the pattern. 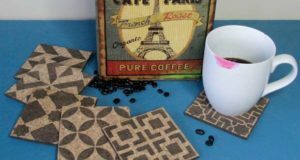 When your pattern is complete, and still quite wet, you can also choose to sprinkle a bit of salt here and there for a bit of added interest. When dry, brush the salt off with your fingers or a dry rag. You will begin to see another tiny pattern emerge, created by the salt which absorbed the watercolor where it touched. 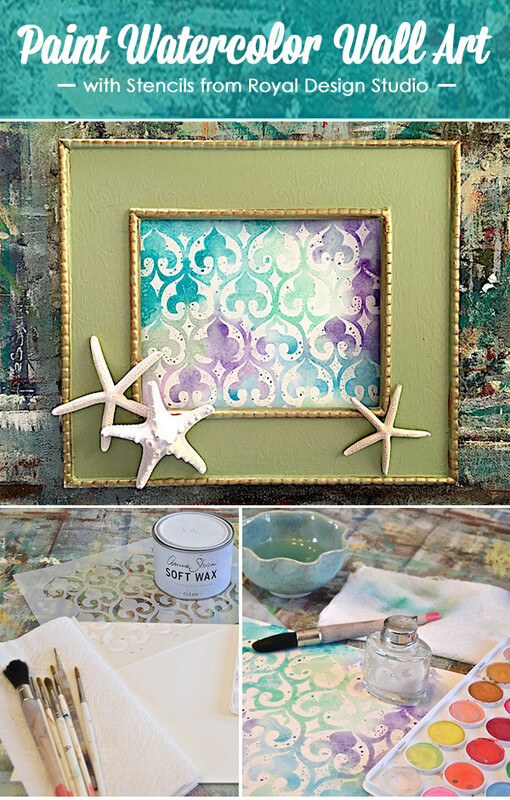 This is a lovely technique to use on all sorts of paper crafts. 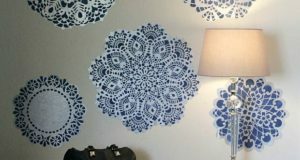 Stencil some notecards, wrapping paper, or even paper for lampshades. 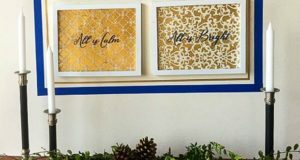 Frame your stenciled watercolor paper for unique wall art or use it to create a custom mat frame for a special photo. 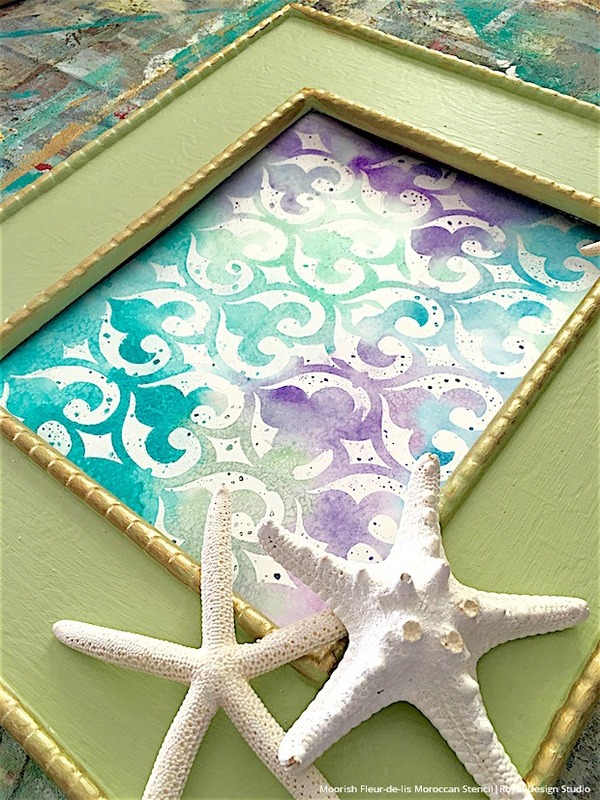 We hope you’ll give this easy technique a try, and as always, we’d love to see your projects! any stencisl out there for brick walls? I am typically to blogging and i actually love your content.The article has actually grabbed my interest. I’m going to bookmark your site as well as retain checking for brand newinformation.